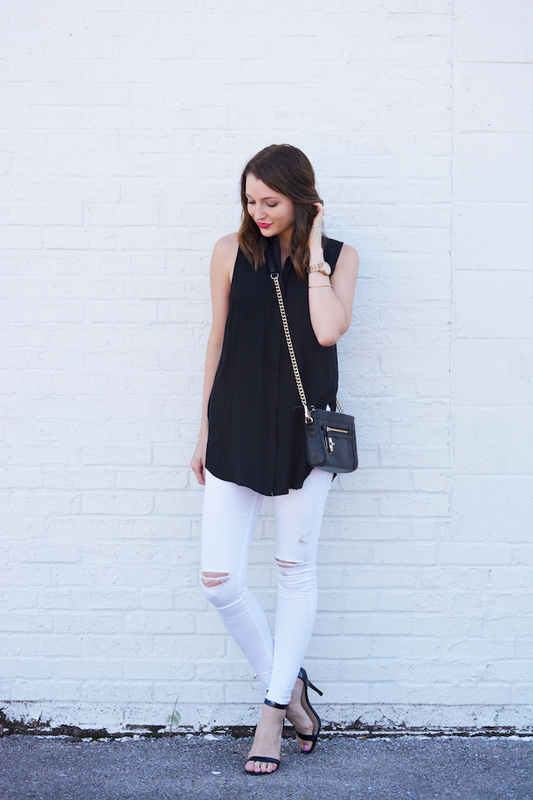 "When in doubt, wear black and white" has definitely become a style mantra of mine. For example, I wasn't feeling super creative this morning so I grabbed a favorite pair of black pants and a black top for work, and added a few simple white and cream jewelry pieces. It didn't take a lot of styling, but I feel confident and put-together. These colors will always be a "yes," plus you can just get so much wear out of them by mixing and matching.